Here it is, another instalment of This OR That. I have decided to make this a weekly post because I love seeing a great piece and then trying to find something that looks very similar for a lot less. 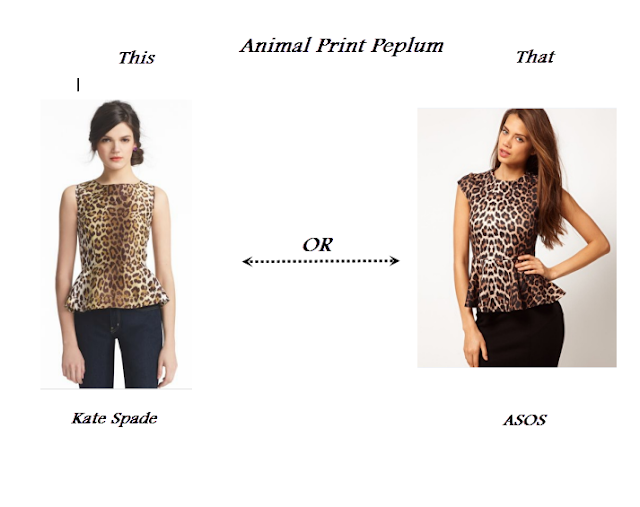 When I first saw this Kate Spade animal print peplum top I just had to have it, but I knew it was not going to happen at $268.00. I was over the moon when I spotted this ASOS version for only $41.43, a little bit more wallet friendly if you ask me!